The uses of fiction in early modern Europe are far more varied than is often assumed by those who consider fiction to be synonymous with the novel. 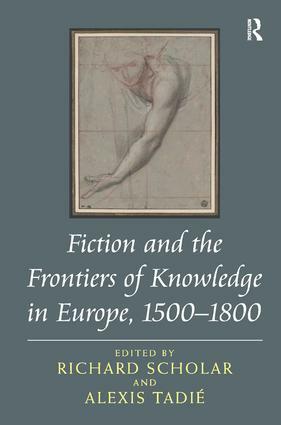 The contributors to this volume demonstrate the significant role that fiction plays in early modern European culture, not only in a variety of its literary genres, but also in its formation of philosophical ideas, political theories, and the law. The volume explores these uses of fiction in a series of interrelated case studies, ranging from the Italian Renaissance to the French Revolution and examining the work of, among others, Montaigne, Corneille, Descartes, Hobbes, Locke, and Diderot. It asks: Where does fiction live, and thrive? Under what conditions, and to what ends? It suggests that fiction is best understood not as a genre or a discipline but, instead, as a frontier: one that demarcates literary genres and disciplines of knowledge and which, crucially, allows for the circulation of ideas between them. Richard Scholar is Fellow and Tutor in French at Oriel College, Oxford, UK. Alexis Tadié is Professor of English Literature, University of Paris Sorbonne, France.